His Beatitude, Metropolitan Tikhon will be present and offer a workshop on Scripture at the 2013 Parish Ministries Conference here July 10-13, 2013. The conference theme—“Faith in Action: Equipping the Saints for Worship, Learning and Service”—will be developed by speakers and personnel from the Orthodox Church in America’s departments of Christian Education, Christian Service and Humanitarian Aid,Liturgical Music and Translations, and Youth, Young Adult, and Campus Ministry. Protopresbyter Thomas Hopko will deliver the keynote address. Metropolitan Tikhon will offer a workshop titled “Teaching Scripture in the Parish” on Thursday, July 11 at 1:30 p.m. He also will offer a public “question and answer” session at 7:30 p.m. the same day on parish-based ministries, Scripture, and Christian education. The “Q&A” session and Father Hopko’s keynote address are open to the public. 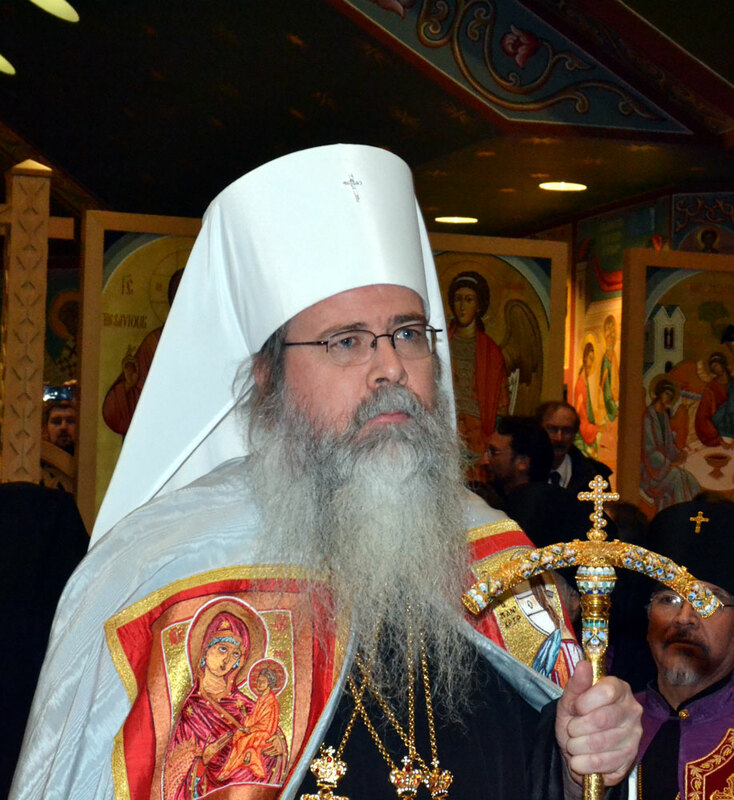 Metropolitan Tikhon also will join conference participants and local clergy and faithful for Vespers at Saint Luke Church, McLean, VA, on Friday, July 12 at 7:15 p.m. The Hierarchical Divine Liturgy will be celebrated in the context of the conference at Saint Nicholas Cathedral, Washington, DC at 9:00 a.m. on Saturday July 13. Local clergy and faithful are encouraged to attend. In related news, Saint Vladimir’s Seminary Press will be present with books and and other materials for sale. A full listing of conference workshops and speakers is available here. More information including schedule, accommodations and on-line registration is available here.